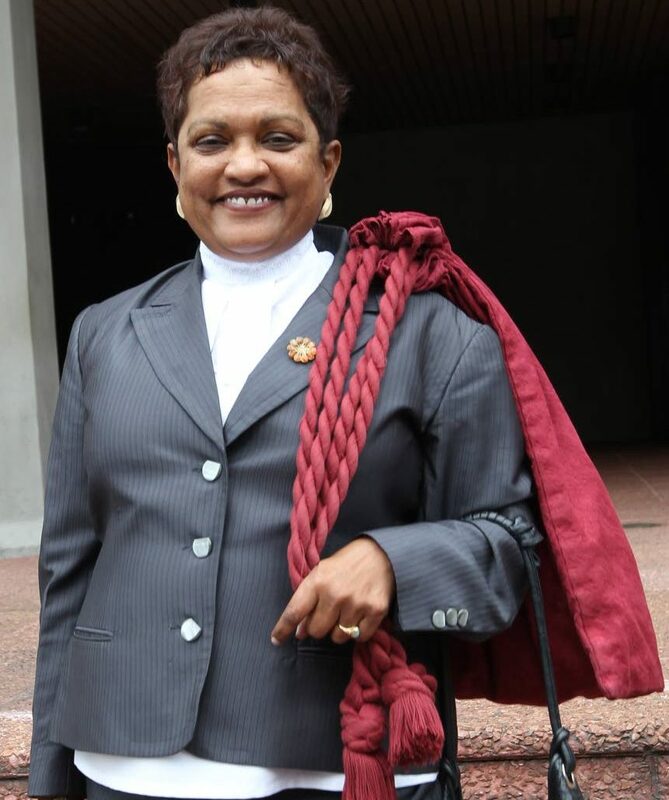 A man who turned state witness against his brother and eight others, including former LifeSport co-ordinator Rajaee Ali, was cross-examined today in the Dana Seetahal murder inquiry. Stephan Cummings, who was originally charged with Seetahal’s murder in 2015, had that charge reduced to conspiracy to murder in December last year. The inquiry is being heard in the Port of Spain Magistrates’ Court, where security was at its highest, with police posted outside the St Vincent Street courthouse, inside and along neighbouring streets. On Thursday, police posted notices about traffic arrangements along St Vincent Street and nearby. Parking was banned along that street, and between Gordon and Duke Streets. St Vincent Street and parts of Abercromby and Duke Streets, which border the magistrates’ court, were closed off to traffic and policemen were posted at each corner to help traffic move smoothly. It did not. From as early as 7 am, traffic snarled along Frederick, Pembroke, Duke, and the open parts of Abercromy Streets. It was exacerbated by yesterday’s heavy, persistent rain. After the murder charge against him was discontinued, Cummings was granted $200,000 bail for the conspiracy-to-murder charge and was released from remand. In May 2016, Cummings and several others were freed of gang-related charges because of a blunder made by the DPP’s Office when the charges were laid. Of the 13 men, ten are still before the courts for the former independent senator’s murder, including the lone woman – Stacy Griffith – who was also charged with committing an act for the benefit of a gang. Griffith is, however, out on bail. Griffith’s husband, former LifeSport co-ordinator Rajaee Ali, who is also charged with Seetahal’s murder, did not benefit from the magistrate’s ruling, as he has been charged with being a gang leader. Those still before the court charged with murdering Seetahal and with other gang-related offences are Cummings’ brother Devaughn; Ishmael and Hamid Ali (brothers of Rajaee Ali); Ricardo Stewart; Earl Richards; Gareth Wiseman; Kevin Parkinson; Leston Gonzales ;and Roger Boucher. Seetahal was shot dead on May 4, 2014 in Woodbrook as she made her way home. Reply to "Main witness in Dana Seetahal murder PI testifies"